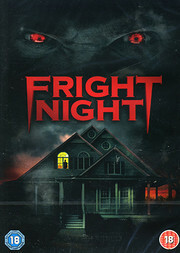 Skräck från 1985 av Tom Holland med Chris Sarandon och Roddy McDowall. Charley Brewster is a normal American teenager whose mother thinks he watches too many late night horror films. 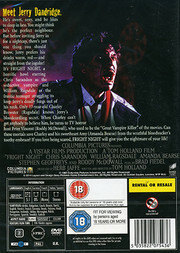 Charley's life is pretty uneventful - until he becomes convinced that his suave, yet sinister, neighbour Jerry Dandridge (Chris Sarandon) is a vampire.